A question that many organizations struggle with is how much is the appropriate money to spend annually per user, per year on information security. While balancing security, privacy, usability, profitability, compliance, and sustainability is an art organization's have a new data point to consider. The ideal approach that businesses take must always be based on internal and external factors that are weighted against the risks to their assets (assets in this case is generally inclusive of customers, staff, technology, data, and physical-environmental). An annual review identifying and quantifying the importance of these assets is a key regular exercise with product leadership, and then an analysis of the factors that influence those assets can be completed. At the aggregate and distributed based upon the quantitative analysis above, safeguards and practices may be deployed, adjusted, and removed. Understanding the economic impact of the assets and the tributary assets/business functions that enable the business to deliver services & product to market allows for a deeper analysis. I find the rate of these adjustments depend on the business industry, product cycle, and influenced by operating events. At the most relaxed cadence, these would happen over a three year cycle with annual minor analysis conducted across the business. Organization's historically had to rely on surveys and reading of the tea leaf financial reports where costs of data breaches and FTC penalties were detailed. These collections of figures showed the cost of a data breach anywhere between $90-$190 per user. Depending on the need, other organizations would baseline costing figures against peers (i.e., do we all have the same # of security on staff; how much of a % of revenue is spent, etc…). The parties' dispute dates back to December 2010, when Curry and Moore sued AvMed in the wake of the 2009 theft of two unencrypted laptops containing the names, health information and Social Security numbers of as many as 1.2 million AvMed members. $10 x (# of years a client) x client = damages .. PLUS all of the upgrades required and the actual damages impacting the customers. Businesses should update their financial analysis with the figures and situational factors of this court case. This will in some cases reduce budgets, but others where service providers have similar models/data the need for better security will be needed. As always, the key is regular analysis against the internal & external factors to be nimble and adaptive to the ever changing environment. While balancing these external factors, extra vigilance needs to ensure the internal asset needs are being satisfied and remain correct (as businesses shift to cloud service providers and through partnering, the asset assumption changes .. frequently .. and without any TPS memo). At least 6,900 product versions vulnerable through UPnP. 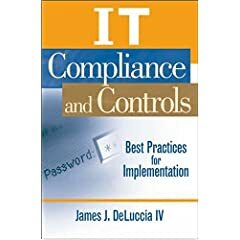 A great write-up is available here by Darlene at ComputerWorld (chock full of links to additional facts & CERT) and of course all comments and feedback should be directed to HD Moore’s blog. The report was worth the read, and while the technical details are important, I would challenge the executives reading this paper to consider operationally how they would seek to manage the vulnerable systems in their organizations and how their internal processes are designed to ensure such similar technical (symptoms) vulnerabilities across different types of products do no recur. Or at least, devising a methodology to mitigate the risk to technology such as this that cannot be patched (vendor is gone; management tools non-existent, etc…) or addressed directly on the same system. As our business processes further rely on network connected devices, the age and velocity of the industry is a risk that we must manage. Acquisitions, businesses going under, kickstarters coming & going, and simply protocols losing support in the dev environments ALL are mitigated by governance and risk assessment methodologies. How is your strategic program designed; is it effective to these shifts in business; how can it be enhanced? How is the partnership with procurement, M&A, and business relations teams? >> Consider the inputs as well as enhancing your program. Thanks to Rapid7 for the research and raising this broader risk. The Oregon Supreme Court last week affirmed the dismissal of a class action lawsuit against Providence Health & Services-Oregon arising out of the theft of patient data on backup media that were stolen from an employee’s car in late 2005. The case underscores the importance of taking prompt and effective action to protect patients after a data breach. The Supreme Court noted approvingly the substantial—and costly—steps Providence took to protect its patients in the wake of the theft.